NZDUSD is falling down the descendant channel. 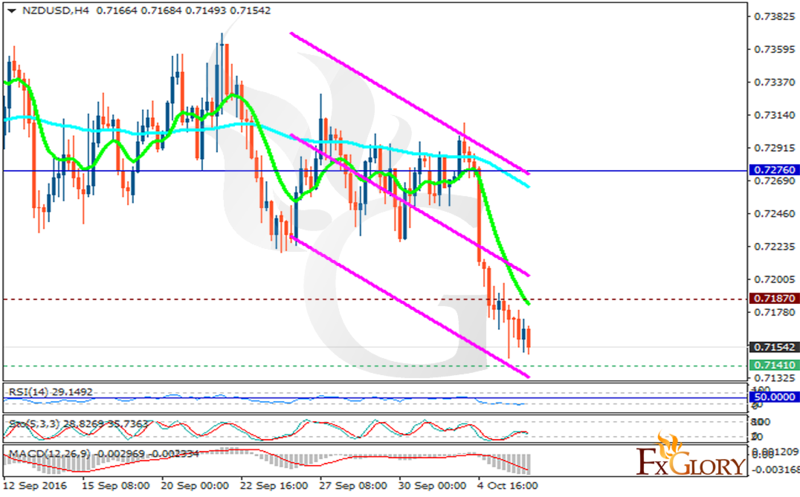 The support rests in 0.71410 with resistance at 0.71870 which both lines are below the weekly pivot point at 0.72760. The EMA of 10 is moving with bearish bias and it is located below the EMA of 100. The RSI is moving horizontally in oversold area, the MACD indicator is negative territory and the Stochastic is showing downward momentum. The support level seems to be really strong therefor the pair may start its growth at any time soon.